Remember your English teacher in high school? Do your remember THAT English teacher in high school? Well, I remember THAT one. Her name was Miss Johnson (I’ve changed this name of course :-)). I don’t remember much of Miss Johnson’s teaching, but I do remember one incident when I accidentally called her “Mrs. Johnson”. After uttering those two words, time stopped, the clouds darkened, and Miss Johnson turned around and became Voldemort. She yelled at me with a quiet hissing tone – “IT’S MISS JOHNSON, NOT MRS. – IS THAT SO DIFFICULT TO UNDERSTAND?” She then turned back and continued with the lesson muttering some other words under her breath. I may have forgotten my grammar and my English, but I never ever forgot to use ‘miss’ when addressing Miss Johnson. I LOVE Grammarly. It’s an excellent English teacher without the attitude and embarrassment of dealing with a Miss Johnson. While the Grammarly site (https://www.grammarly.com/) explains all of the features, I think that the Grammarly magic can best be summarized in 2 steps. Here’s William Ernest Henley‘s poem Invictus. It is one of those gritty determination types of poem that has been inspirational (at times). By choosing to expand the explanation card, you get to see the Grammarly magic. It’s Miss Johnson without the terror and attitude. Here we get to understand why Mr. Henley should have used a comma (now granted – it’s a poem, so in a sense it’s an ‘anything goes’ grammar stew). My point is that Grammarly teaches you about grammar usage using the best relevant examples i.e. your day-to-day writing. Of course, you don’t have to expand that card, and you can just go based on whatever ‘sounds’ right. But there’s something educationally magical to have this card explain the problems with one’s writing. And if I learn what’s wrong with my writing, I can become a better writer. Grammarly gives you the gift of education without the high school English flashbacks of Miss Johnson. This gift makes Grammarly fantastic! I have yet to encounter another web service that does such an amazing job at teaching without seeming to teach. Then we’ll cover an easy solution for one of the privacy issues. The first method is to type/copy your words into Grammarly’s editor. 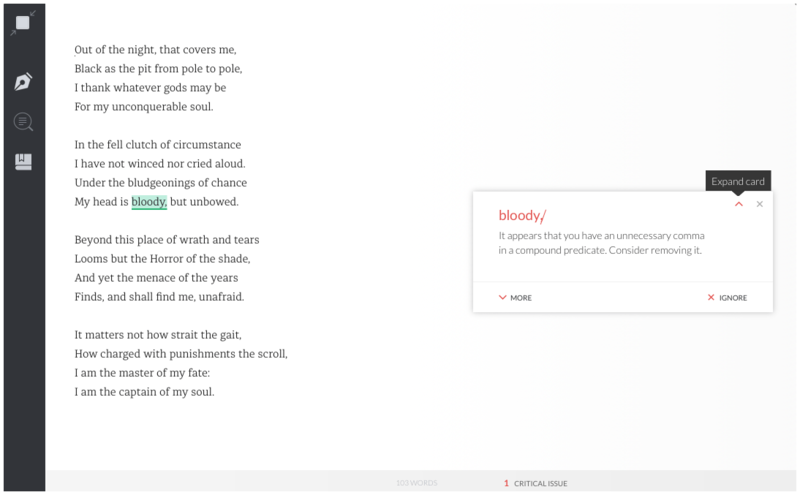 Grammarly checks your words and shows you the errors. You can do this on Grammarly’s web application (at https://app.grammarly.com/)) or through a native application such as Grammarly’s native Mac application. 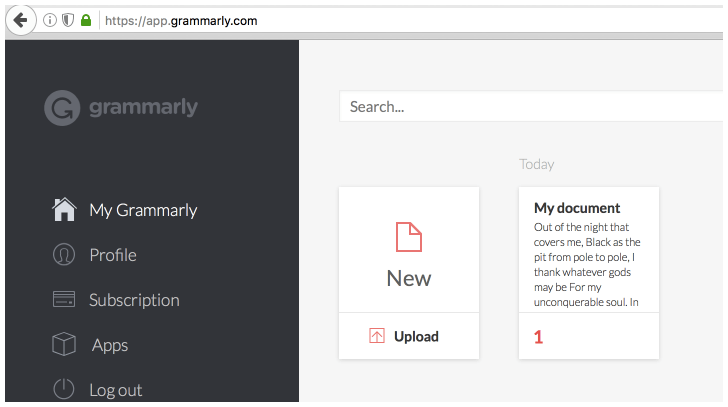 On the web application – where does Grammarly store your document? 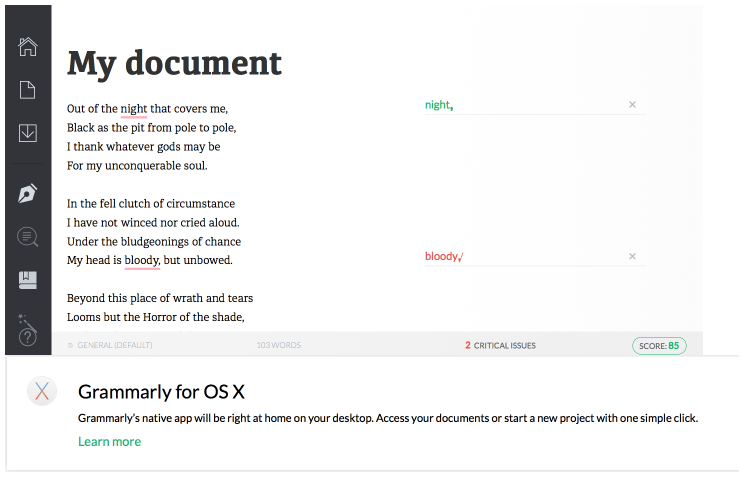 On the native Mac application – where does Grammarly store your document? 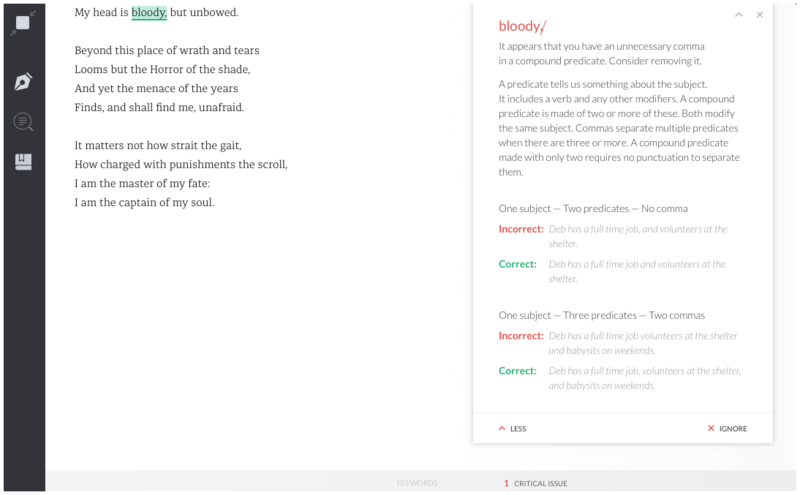 In the second method, Grammarly checks your work within your web browser. In this case, you need to have Grammarly’s plug-in installed for your specific browser (there are plug-ins for all the major browsers). 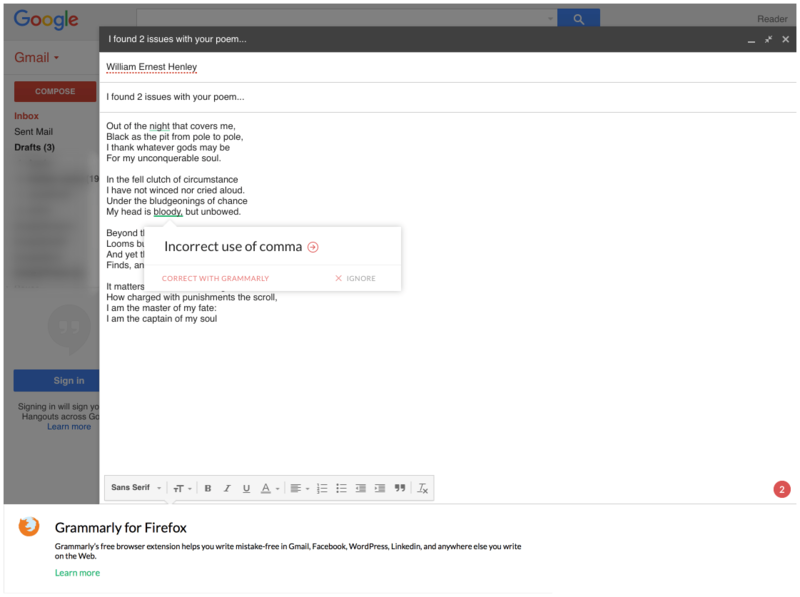 In the example below, I’m writing an email in Gmail and Grammarly does the checks right on the web page. Note: As an aside, there are certain sites/conditions where Grammarly will not work. For example, Google drive is not supported at this point. Question: So in this case – where does Grammarly store your document? Or does it even store your document at all when you’re in something like Gmail? Where does your work reside after Grammarly checks it? As mentioned in the previous steps, a fundamental question is where is your work/data when Grammarly checks it? If you’re on Grammarly’s web application, then your document is in your Grammarly account. Makes sense – right? If you’re in a native application (like Grammarly’s Mac client) then Grammarly stores your document on your Grammarly account on the web. It is the native application (like the Mac app) that is troublesome from a privacy perspective. After all, if it’s a native application, you would expect the app to save your document on your Mac. If you pursue this assumption, then you would think that using the native application would provide more privacy than any other approach, and you would be completely wrong. You are writing a sensitive vendor contract or HR document. You are writing a sensitive internal email to an employee. There are lots of scenarios besides the above two. 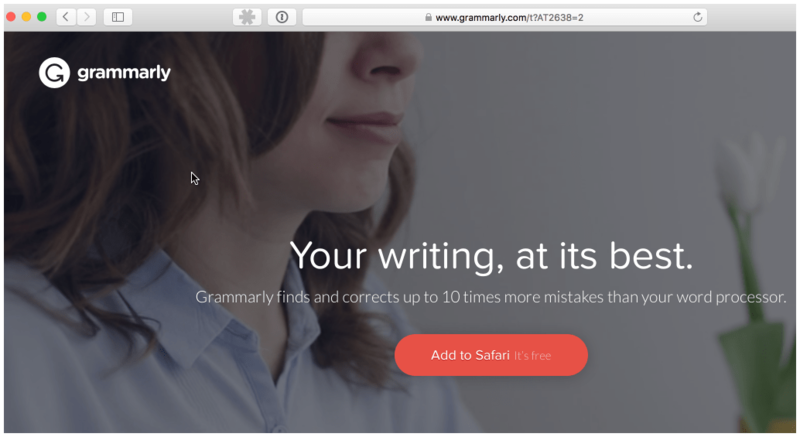 The point is that you would not want your document to be stored on Grammarly’s servers (i.e. by being a ‘document’ in your Grammarly account) for sensitive documents/information. Consequently, using Grammarly’s native application could be disastrous from a privacy perspective. 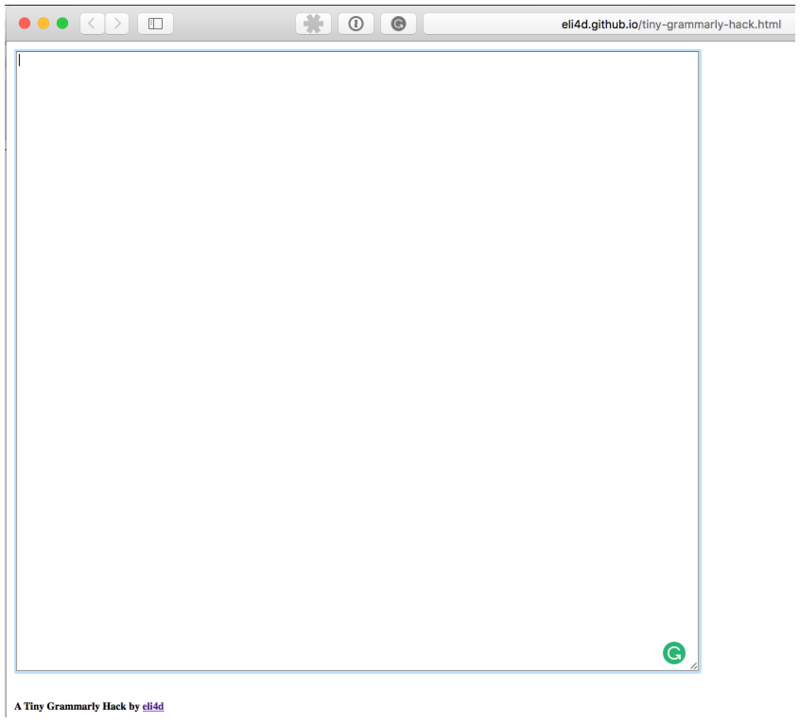 Grammarly’s browser plug-in provides the solution for our teeny tiny privacy issue. The on-the-web page check is the only Grammarly method that does not store anything in one’s Grammarly account. 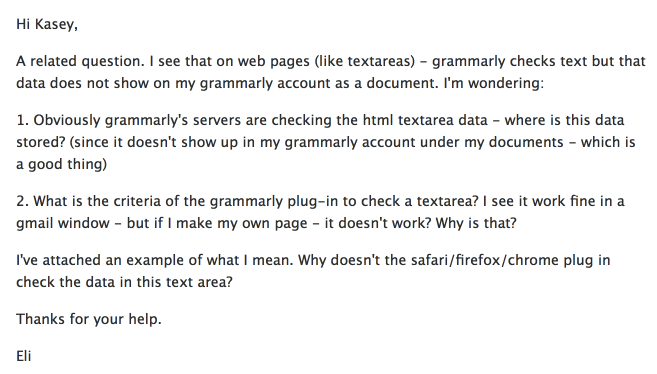 Note: There is still a period of time when Grammarly’s web service has the data for the in-web-page checks. I checked with Grammarly’s support folks and found out that “User Data is stored on our servers for up to 14 days. After 14 days, deleted user content is completely removed from our servers.” So if you’re dealing with extremely sensitive information that shouldn’t leave the premises of your network, then you should skip Grammarly altogether. The solution I propose in this section prevents your document from being stored on the web application side as a document. Of course, the usual disclaimers apply regarding anything that I state in this article and throughout my site. I’ve come across many support teams, and there’s this very fine line between a ‘just stop asking me questions’ curt response and a sincere, helpful response. 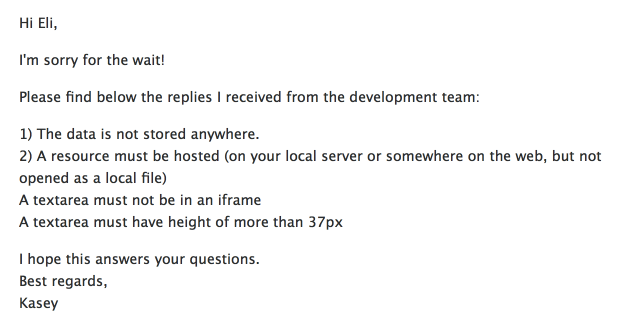 Grammarly’s support team goes beyond the ‘curt’ approach, and I really appreciate it. Kasey answered my questions about the browser plug-in while Christine answered my data retention questions. My initial approach to prevent Grammarly from storing my words as a document on my Grammarly web account was to create a simple page with a textarea and no submit button. All I wanted was that tiny little green Grammarly refresh icon to show up. But I got nothing. So I contacted Grammarly support. In relatively quick order the fantastic Kasey responded with the answer. The moment I read this, I did an immediate face-palm – of course it couldn’t see a local file. So I had to put my super simple page on a web server somewhere. 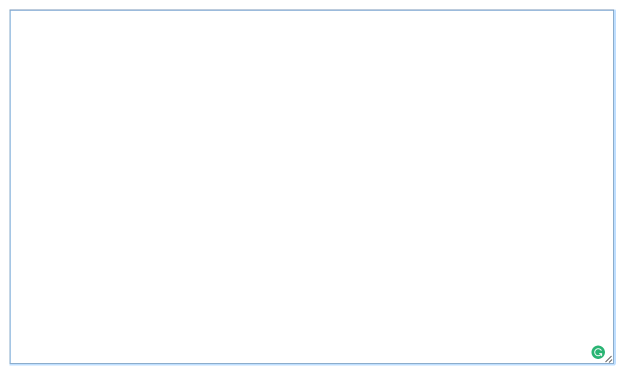 Where to store my super simple html file? I could, of course, spin up a Digital Ocean* droplet, but that would be somewhat ridiculous for one html page (it would be the equivalent of swatting a mosquito with a hammer). My K.I.S.S. (Keep It Super Simple) choices were either an Amazon S3 bucket or GitHub Pages. I ended up going with the creation of a GitHub page. You can find my tiny little Grammarly hack page at http://eli4d.github.io/tiny-grammarly-hack.html. You can use my page or create your own and toss it on a web server. Whenever you want to check a document (text only), just copy and paste it into the textarea box and click on the little green Grammarly refresh icon. After fixes to your document, make sure to copy everything from the textarea box back to your document. Using the above steps you can use Grammarly without worrying that a document will be created and stored in your Grammarly account. A reminder: As mentioned above – this method does not prevent Grammarly from storing your data (even this temporary data). In fact, according to Grammarly support you must assume that even for this sort of temporary check, Grammarly’s servers will hold you words for 14 days. That’s a bit crazy from a privacy/security point of view but this retention time is up to Grammarly’s management. Is Grammarly’s service awesome? Absolutely. It’s like having a nice electronic version of your high school grammar teacher (like Miss Johnson) minus the meanness. Is Grammarly private? It’s as private as any web application that’s on the Internet (my assumption of course because I have not seen any architecture/security documents about their infrastructure). The steps I provide in this article related to preventing Grammarly from storing your document in your Grammarly account. So if someone breaks into your account on Grammarly, they won’t see anything. On the other hand, if someone breaks into Grammarly’s servers, then they could potentially get to any in-line checked user documents (even if the document is not saved in your user account) because of Grammarly’s stated 14 day retention period. Personally, I find Grammarly’s service to be invaluable. I get to explore the quirkiness of my writing in conjunction with the quirkiness of the English language, and I get to learn to write better.